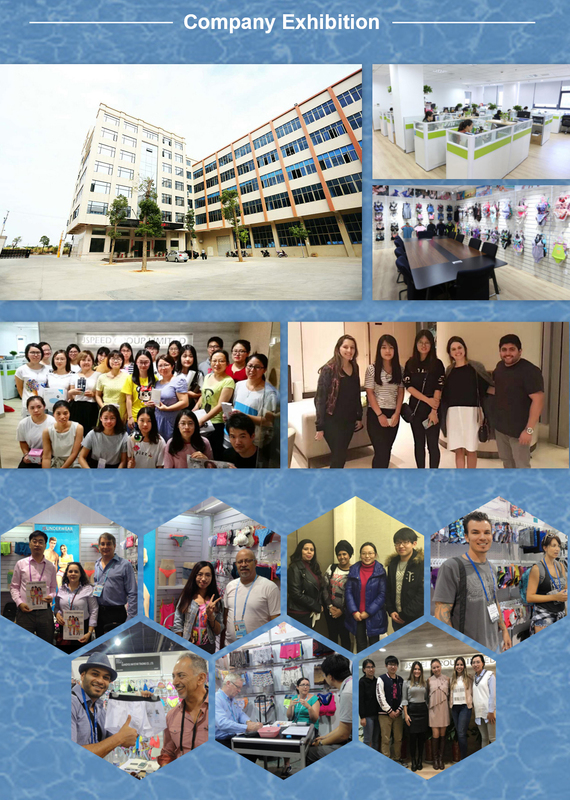 We are manufacturer of underwear and swimwear for more than 10 years,have professional Production team,Design team,Sales team,QC team and After sale team,we do believe we can win together! Our company is one of the underwear enterprises in Fujian Province of China, and we have a sales company in Shanghai for overseas order and inquiries. We specialize in a comprehensive line of underwear and swimwear, including children's briefs, men's briefs, boxers and ladies' printed briefs, boxers (with pigments, plastisol and discharge printing technique), thongs, vests and so on. Our factories have more than 200 workers, advanced production facilities, a sample room and occupy an area of 5100 square meters. We can provide our customers with high quality products, competitive prices, as well as good service, and accept OEM orders with customers' designs. As an underwear manufacturer with over seven year's experience, we always insist on the managing idea of "Quality First, Clients First", being dedicated to the continuous enhancement of product quality and service standards. As a result, our underwear has gained a good reputation in the world market including Europe, America, the Middle East, Australia, and Asia (Japan, Singapore, Korea and Israel). We believe, on the basis of mutual benefits, we can move toward a brighter future with our partners.